"Fun and Functional: It's not just art, ... it's a way of life!" 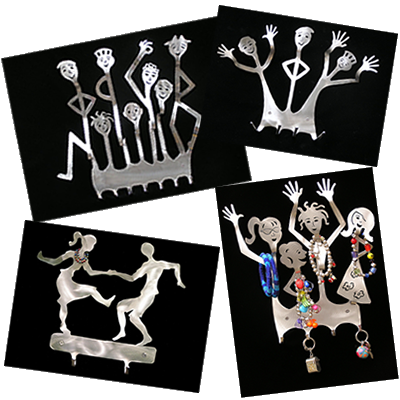 Fun & Functional Art is a line of metal work designed and made in Michigan. The stainless steel Organizers have hooks strong enough to hold anything from jewelry to bookbags. Designed to reduce clutter, they make excellent gifts. View the 30-second video presenting The Organizers!